Holy Spirit our teacher and guide. those issues which affect us all. The love of Jesus is contagious. Let’s start an epidemic. Preparing dinner for the theatre crowd at Thamesville U.C. For more pictures go to the Photo Gallery. St. John’s Botany is located on the corner of the Botany Line and the Scane Road in Howard Township. It is a two level brick structure with a full basement consisting of a hall, the kitchen, and washroom facilities. The hall is used for fellowship after services, community suppers, and special occasions. The church services are held in the upper level. The choir loft is located behind the pulpit on a raised area where the organ and piano are also situated. A dedicated choir participates in the worship services. Off to the one side is the old Sunday School room which can be opened up for larger services or weddings. It is mainly used today for preparation of the Sunday School plays, and Special Events. 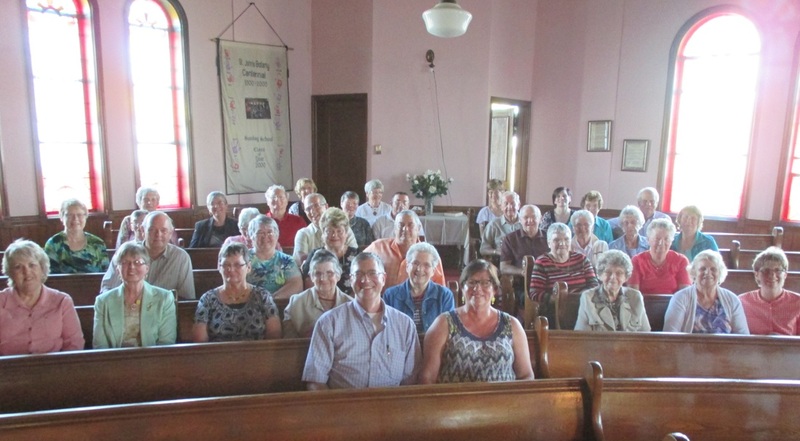 We have a very active UCW that meets monthly and helps support the needs of the church. They have an average attendance of 12 members and support Kenesserie Camp, Mission & Service Fund, and the Women’s Shelter to name a few organizations. They remember the elderly, hospitalized and bereaved with flowers, cards and visits. 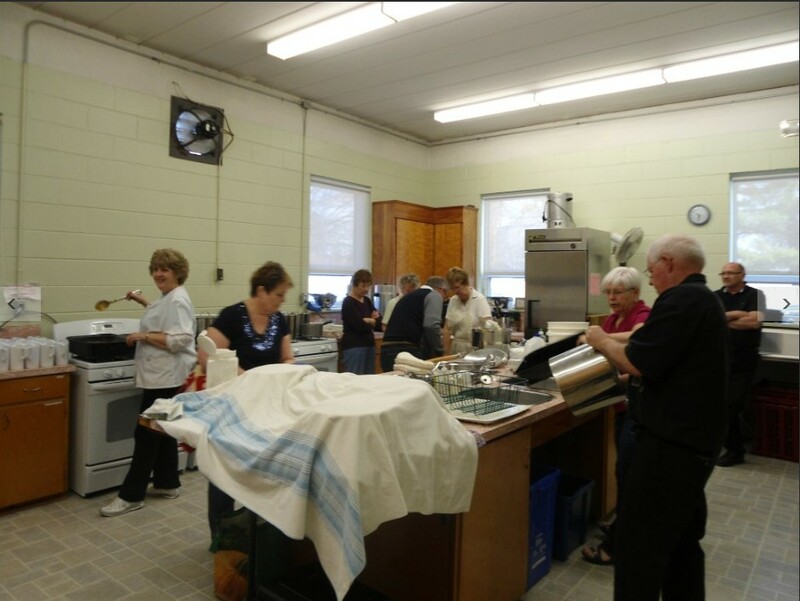 They provide lunches following funerals, and participate with other churches in the community by preparing meals for the less fortunate. 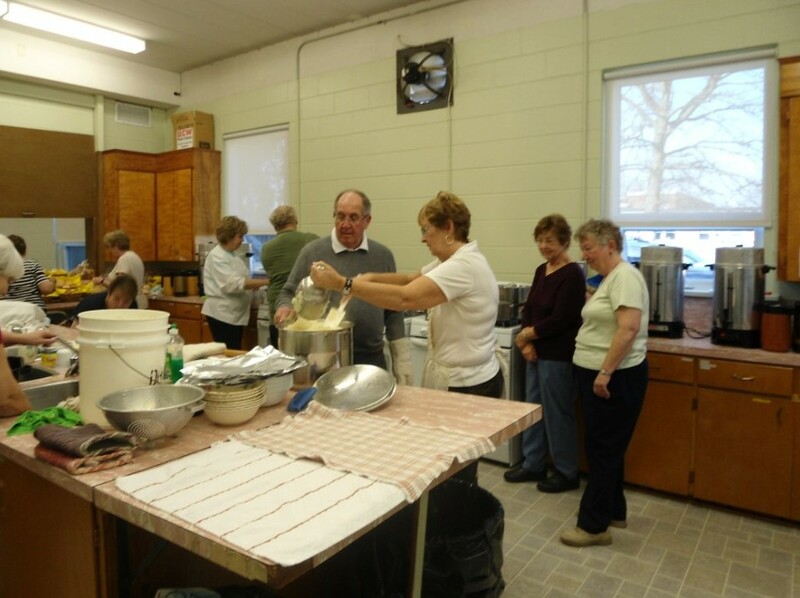 Our church members enjoy working together by serving a stew supper in the spring, hosting a garage sale in the summer, and having a Broasted chicken supper and silent auction in the fall. We also prepare and serve other meals for a local community theatre. The early settlers of Botany district worshiped in the log schoolhouse, which was built in 1848. Services were allowed to be held any time except during school hours. A missionary, Rev. Dr. Angus McColl of Chatham, was the first ordained minister to conduct these services. Following him was Rev. Wm. Forest of Ridgetown. The school was located on the west side of Howard Road where a part of the Botany cemetery is now located. McKays Corners to form a three point charge. In 1971, a new four-point charge was established: St. Paul’s, Zion, Howard Road and St. John's Botany. 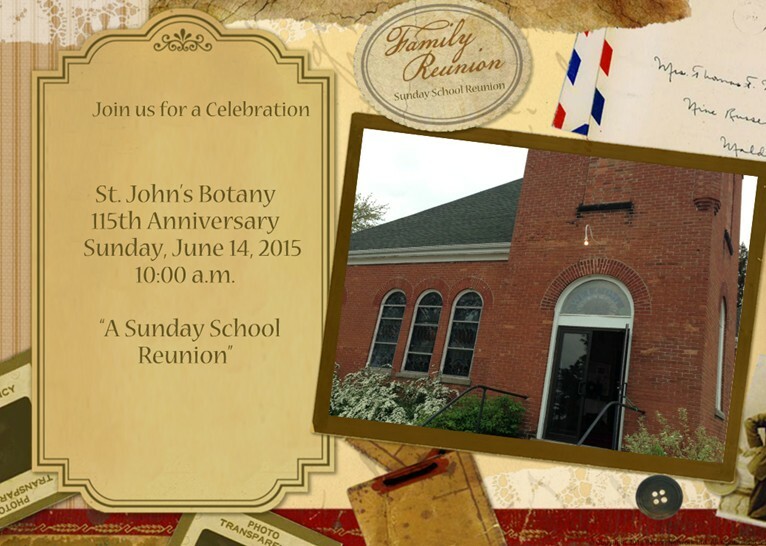 In January, 1998 Howard Road Botany Church was closed, the members amalgamated with St. John’s Botany and the Charge became a three point charge. In 2000, St. John’s Botany began a year long Centennial Celebration.